Featuring a landscape dappled with mammoth swaths of wilderness, laced with free-flowing rivers, and crowned by high peaks—including the loftiest summit in the state, 5,728-foot Mount Rogers—southwest Virginia is like no place else in the state. For outdoor lovers, this ruggedly wild corner of the state is not to be missed, but the bounty of recreational opportunities can be overwhelming. 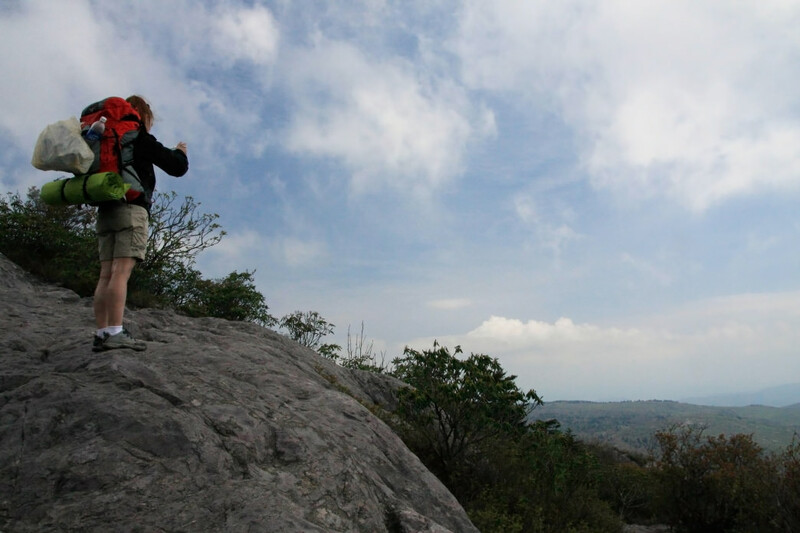 Luckily, we have the inside scoop from locals in the know—including outdoor outfitters, trail clubs, and thru-hikers— offering some of the best bets for an adventure-filled mini-vacation in southwest Virginia. One of most stunning anomalies on the Appalachian Trail is in southwest Virginia. Burke’s Garden, also known as "God’s Thumbprint" is a massive crater, 5 miles wide and 10 miles long that from an aerial view does indeed resemble a thumbprint. The Appalachian Trail traces the ridges ringing the crater for 8 miles, and for thru-hikers, the Chestnut Knob shelter provides stellar views of Burke’s Garden. The Mount Rogers National Recreation Area is a trail mecca loaded with jaw-dropping routes, including the hike up to the highest point in the state. 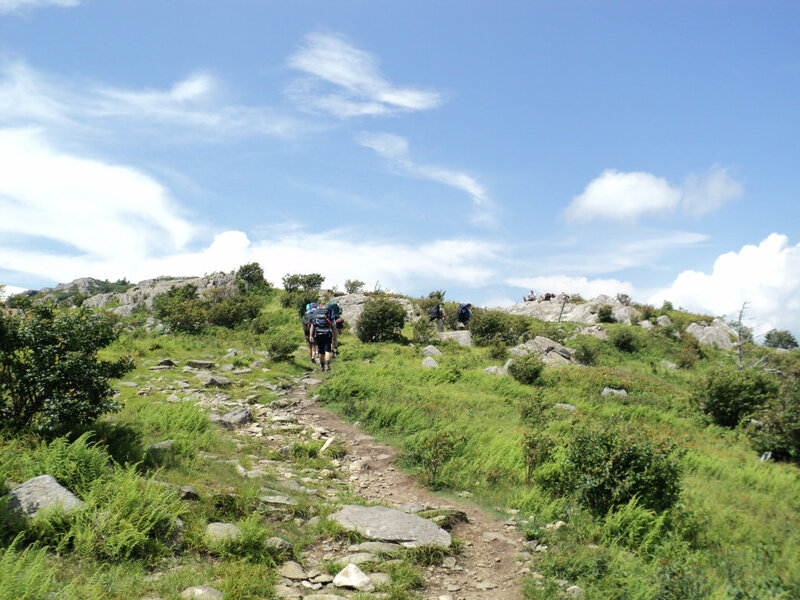 While options are abundant, according to Anne Maio of the Mount Rogers Appalachian Trail Club, the group tasked with maintaining 60-miles of the trail in the region, the HIgh Country Loop is one of the favorites. Beginning from the Massie Gap in Grayson Highlands State Park, the nearly 11-mile route cobbles together trails including the Rhododendron Trail, the Appalachian Trail, and the Pine Mountain Trail. 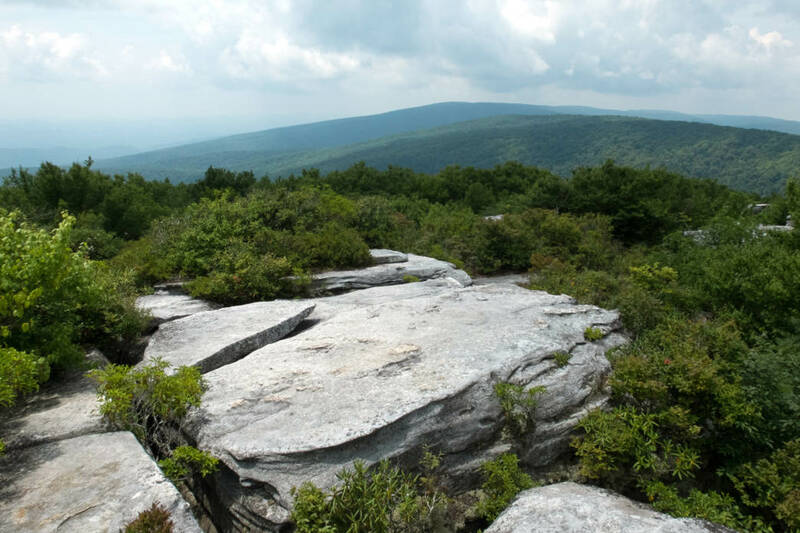 For an even more stunning, and more challenging option, the trail club suggests using the Wilburn Ridge Trail instead of the Appalachian Trail for 0.8-mile on Wilburn Ridge. Be sure to keep an eye out for the wild ponies roving the highlands. Experienced climbers can head for the recently reopened Hidden Valley Climbing Area. Closed in 2004 after concerns about vandalism, thanks to joint-efforts of the Access Fund and the Carolina Climbers Coalition, the area reopened in 2014. Featuring nearly a mile of scalable sandstone bluffs, reaching heights of nearly 70 feet, the area includes almost 200 routes, primarily sport climbs peppered with traditional and mixed routes, with grades ranging from 5.5-5.13 (the bulk being 5.10s, 5.11s and 5.12s). Access permits required for the climbing area can be acquired online. For even more information, Gus Glitch has recently written guidebook to the climbing area, Hidden Valley Rock Climbs. Music is a cornerstones of Appalachian culture—and southwest Virginia is one of the best places to experience the region’s rich heritage. The region is home to the Crooked Road Music Trail), a 330-mile driving route showcasing Appalachia’s rich musical tradition that links performing venues, local musicians, roadside exhibits, and more than 50 towns. Heartwood in Abingdon, Va., is part of the Crooked Road Trail and features live music every Thursday, including open jam sessions three times a month. For a low-key event, catch the Saturday night jam at Capo’s Music Store in Abingdon. Moore also recommends the Carter Family Fold in Hiltons. The nonprofit is dedicated to preserving the legacy of the Carter family—the "first family" or country music—and offers performances on Saturday nights. Running through southwest Virginia for 135 miles, the Clinch River is one of the most unique waterways on earth. Once explored by Daniel Boone, the river is known for its ecologically diversity. According to the Virginia Department of Game and Inland Fisheries, the Clinch is now home to more than 50 different species of freshwater mussels—more than any other waterway on the planet. The plethora of aquatic life also makes the Clinch the most biologically diverse river in the country, and the abundance of freshwater mussels also contributes to water quality, as the tiny bivalves act as sediment filters. The Clinch even attracts snorkelers. Paddlers can hit the water courtesy of a number of access sites, including Mathews Park, in St. Paul. 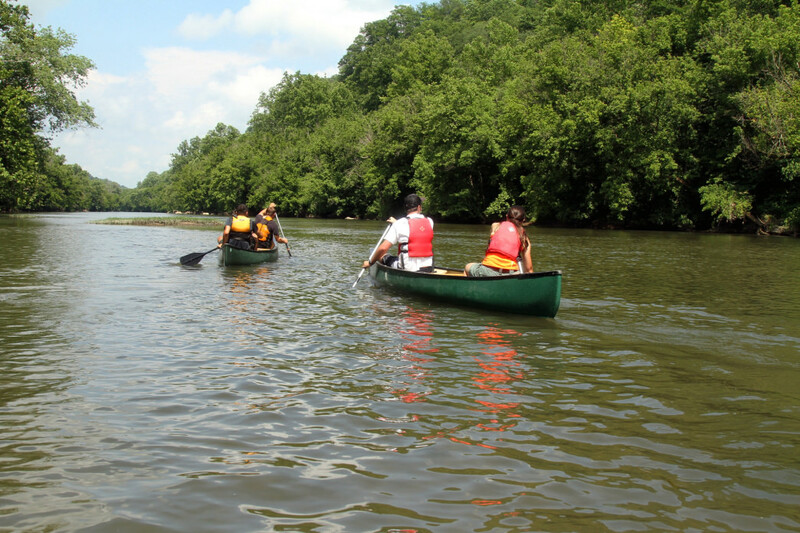 Clinch River Adventures) in St. Paul, can organize and outfit paddling or float trips on the river. Locals celebrate the waterway at the Clinch River Days Festival the first week in June. Birders, anglers, and wildlife lovers should head to Laurel Bed Lake at Big Tumbling Creek. "The fishing is great and there are places you can camp or horseback ride," Moore says. "This is spectacular country, rivaling scenes out west. Waterfalls, rare plants, bears and cubs, eagles, snakes, and beavers. I’ve been camping and playing there since I was in college at Emory & Henry." The area is also easily accessible, ideal for car campers or family weekends. For birders, the woodlands fringing the lake are a hub for songbirds, including colorful rarities like black-throated blue warblers. Snow is often scarce in the southeast, making the highlands of southwest Virginia even more special. The area’s lofty peaks feature a micro-climate, often seeing snow from October to May. (A few decades ago, the Southern Division of the National Ski Patrol even used the Mount Rogers National Recreation Area for training courses.) 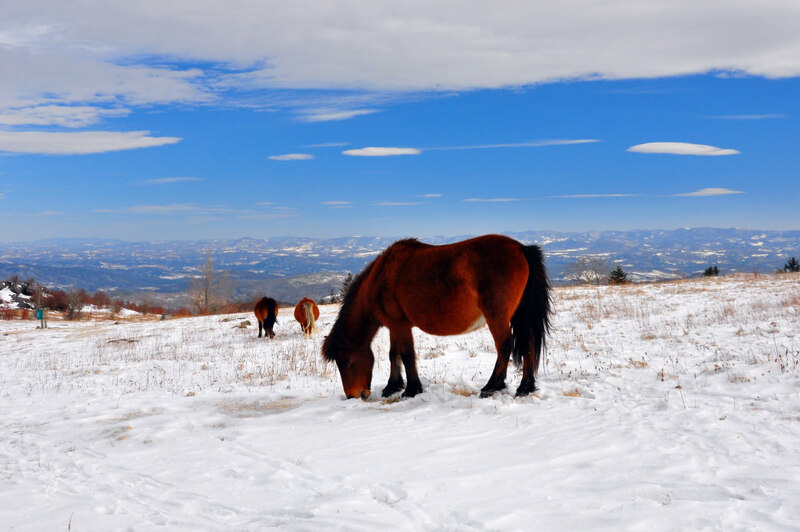 Under a blanket of fresh powder, the 67-mile Virginia Highlands Horse Trail becomes an inviting option for exploring on skis or snowshoes. At Grayson Highlands State Park, trails like 3.7-mile Old Upchurch Road and 1.2-mile Seed Orchard Road are also open to skiers. In Abingdon, the Highland Ski and Outdoor Center rents cross-country skis for just $15/day during the week, $20/day on weekends. The Scales is the high country between Massie’s Gap and Elk Garden on the Appalachian Trail. The area was used by ranchers for grazing cattle early in the 20th century, and because the animals were weighed in the highlands, before making the pound-shedding trek back down, the area has long been known as "The Scales." It’s a great spot for camping, especially in “the corral” when the highbush blueberries are ripe in August. Blackberries are also abundant. Even if you don’t find any berries, the panoramic views are among the best in the state.